1. 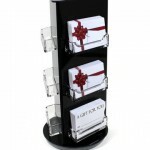 Merchandising – Gift cards don’t just represent a product or service, they are a product. And like every successful product, they must be merchandised correctly. This might include point-of-purchase displays, window signage, and promotional messaging in areas exposed to the customer. 2. Carrier Design – Developing attractive gift card carrier designs is crucial. Don’t settle for a generic design for all occasions. 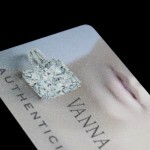 Consumers who buy gift cards want the ability to customize their packaging for holidays, birthdays and thank-you gifts. 3. Design Refresh – It’s important to keep your gift card and carrier designs fresh. New designs attract attention and rejuvenate interest. Refresh your designs annually, and phase out old designs after eighteen months. 4. Out-of-Store Promotion – In many cases, the decision to purchase gift cards takes place outside of the retail environment, especially during the holiday season, when customers are scrambling to check gifts off their list. It’s important to promote your gift card program on all out-of-store marketing vehicles, including company websites, Yelp listings, online advertising, newsletters and promotional emails. 5. Employee Promotion – One of the fundamental rules in selling is “asking for the business.” As easy as this seems, many employees don’t do it, either because they aren’t trained to or aren’t inclined to. Train your employees to ask customers if they would like to purchase gift cards for friends and family before checking out. Offering employee bonuses tied to gift card sales will help make this part of their check-out routine. 6. Gift Cards as Incentives – Many businesses utilize gift-card incentives to reward top-performing employees. Take a moment to contact the human resources director, benefits manager or sales manager of local businesses to offer them bulk purchase discounts. 7. 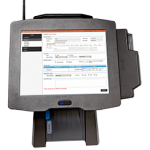 Third-Party Aggregators – Third-party aggregators supply gift card kiosks to retailers and buy in bulk. Aggregators like Blackhawk Network don’t just display gift cards from national brands, they also feature local merchants, and can make a significant impact on your gift card revenue. Plastek Cards provides gift card printing services to local retailers and national brands, as well as gift and loyalty technology solutions. POS Shopping? Don't Forget to Ask this Question.